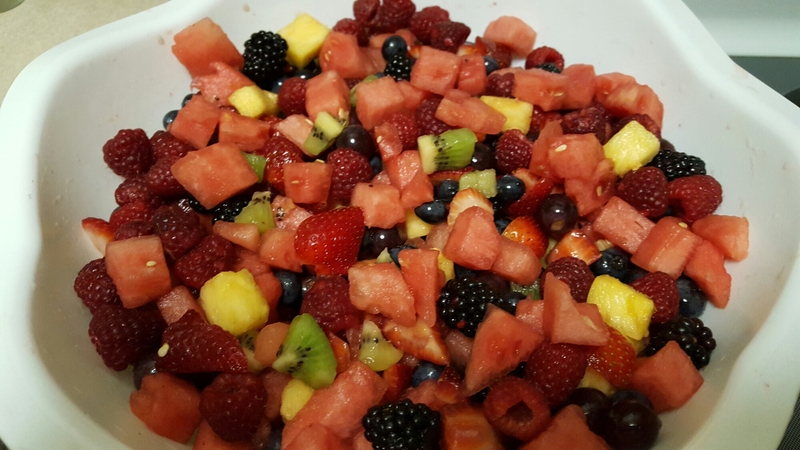 Having one of those nights where my brain just will not shut off, so I got out of bed and turned some worship music on & started making the fruit salad I need to make for a family event today. As I was making my favorite kind of salad, I was thanking God for all the brightly colored, interesting textured, flavorful fruit. What a blessing it is to have access to so many kinds of fruit! By Jillbeingstill in Gratitude, Random on August 22, 2015 .